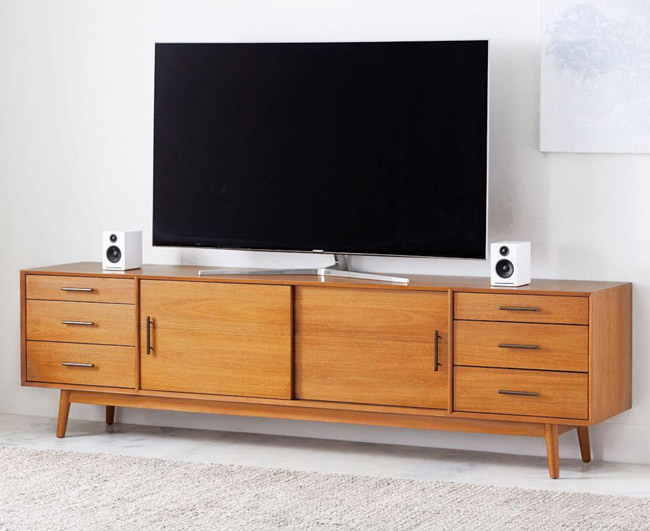 I have featured a number of places for record players, but this Mid-Century Media Console at West Elm has a much wider focus. At first glance, this is a sideboard and to be honest, you can use it for that if you want to. But there are more affordable and more compact options out there if you wish to go down that road. The different here is in the detail. Also the size, which is considerable. This is around 244cm wide, which is over 8ft in imperial measurements. Not many sideboards cover that kind of ground. Of course, that means plenty of space and options for your media, whether that’s hi-fi or video. If it is the latter, the height of 68cm is a good one for using with a TV. Holes in the back too for your cables / wires. But the big selling point here, at least for me, is the look of this media unit. This console looks like it could be an antique piece from the mid-20th century. So if you need something authentic from that era, then this could be worth checking out. It isn’t original, but it isn’t far off. In terms of construction, the console has a solid eucalyptus wood base, an acacia wood veneer body with a water-based Acorn-stained finish and antique, bronze-finished hardware. Within the unit are six drawers on metal glides as well as two cupboard areas with adjustable shelves. Substantial in size, but also in price too. 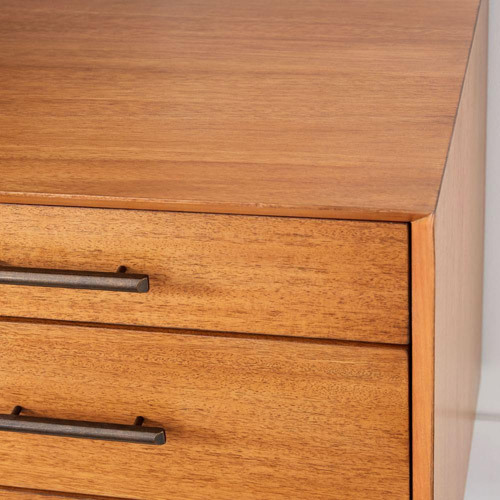 West Elm is selling this particular unit for £1,799 right now.